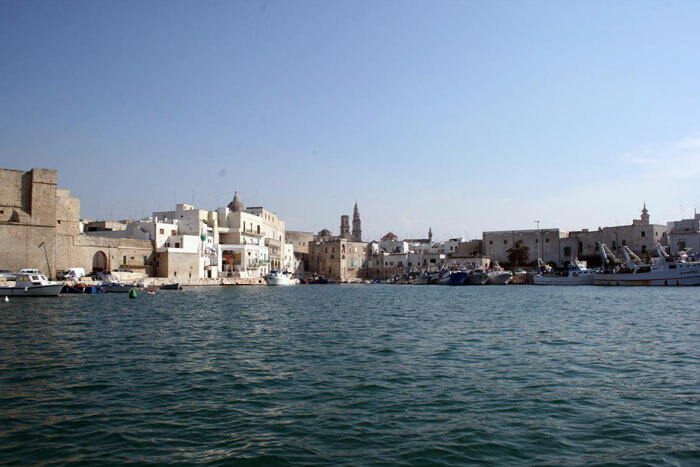 Monopoli, from the Greek monos and polis - one town, 50,000 inhabitants, on the Adriatic coast 43 km south-east from Bari, has a territory that stretches for 156 km2, it is formed by a flat coastal area quickly climbing towards the hills up to reach a maximum altitude of 408 metres, representing a natural balcony overlooking the “sea-coast”. The coast, about 15 km long, low and indented, with wide sandy tracts and lots of free beaches, is particularly suitable for swimming. The coastal plain constitutes an extremely attracting landscape for the presence of the ancient farmhouses and of the knotty and monumental secular olive trees. 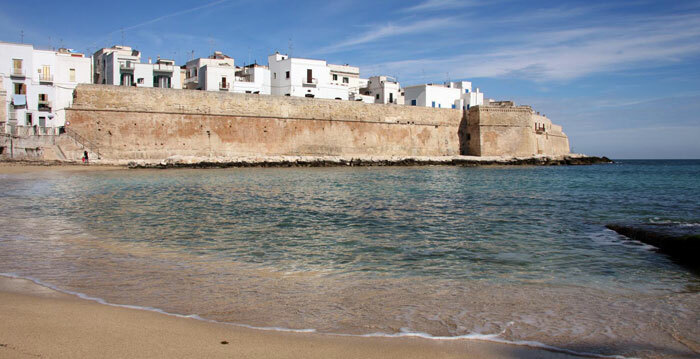 The coast, marked by several inlets and coves having charming names, together with a long sandy shore of about 4 km, several shores and free beaches, a lively night life in summer, represent a safe landing area for the holiday-makers who choose Monopoli as an ideal place for their holidays. 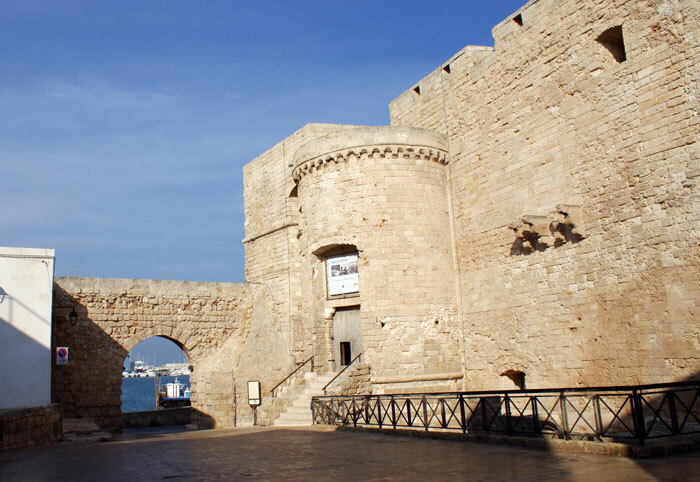 The medieval centre is characterized by the presence of several churches and monasteries: it is important to mention the Castle of Charles V, with the walls overlooking the sea and enriched with pieces of historical artillery, and the Baroque cathedral of the Madonna della Madia, built in 1107 and characterised by the monumental facade and by the soaring bell tower. 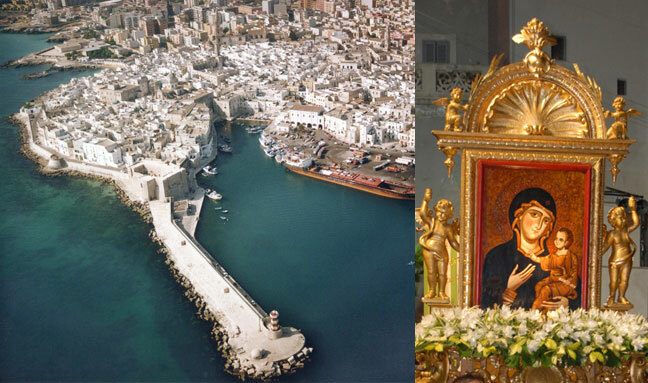 The territory of Monopoli is characterized also by the presence of one hundred districts, still inhabited (about one third of the population lives there) grouped mainly around the rural churches and fortified farmhouses (self-sufficient units built starting from the 16th century and endowed with all the structures necessary to the local community living there, such as church, bakery and underground oil mill) that used to form its original core.